While there aren’t any of members of my immediate family on a gluten free diet, I know how hard it can be to stick to gluten free treats. 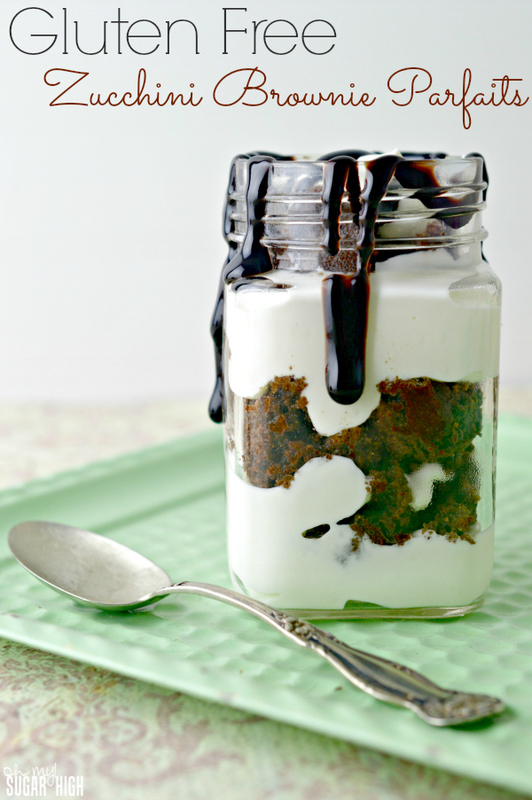 That is why I’m happy to see Merissa Alink is back with another great recipe, this time with a Gluten Free Zucchini Brownie Parfait that is hard to resist. You can easily make this with your favorite brownie recipe or simply use regular all-purpose flour in place of the gluten free version. Vanilla yogurt is featured in this parfait, but a homemade whipped cream or other yogurt flavors would also be absolutely delicious layered in this dessert! Place some yogurt into a frosting bag or in a plastic storage bag. 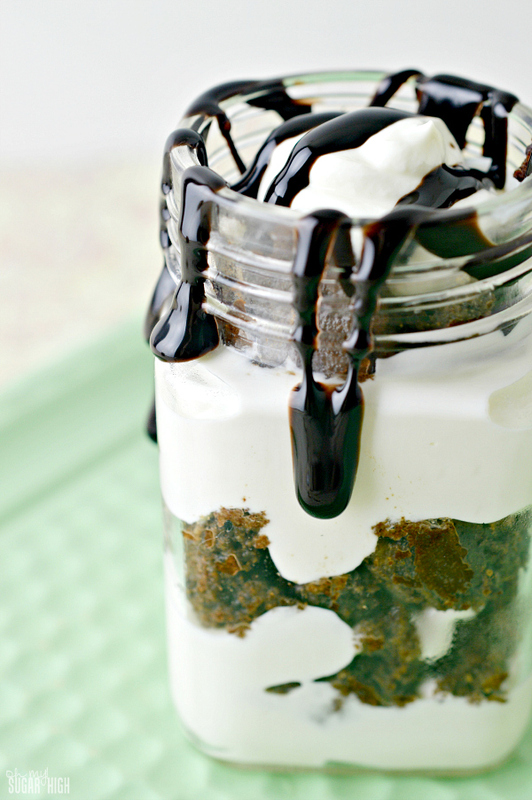 Cut off the tip of the plastic bag and place a layer of yogurt onto the bottom of a clean glass or jar. 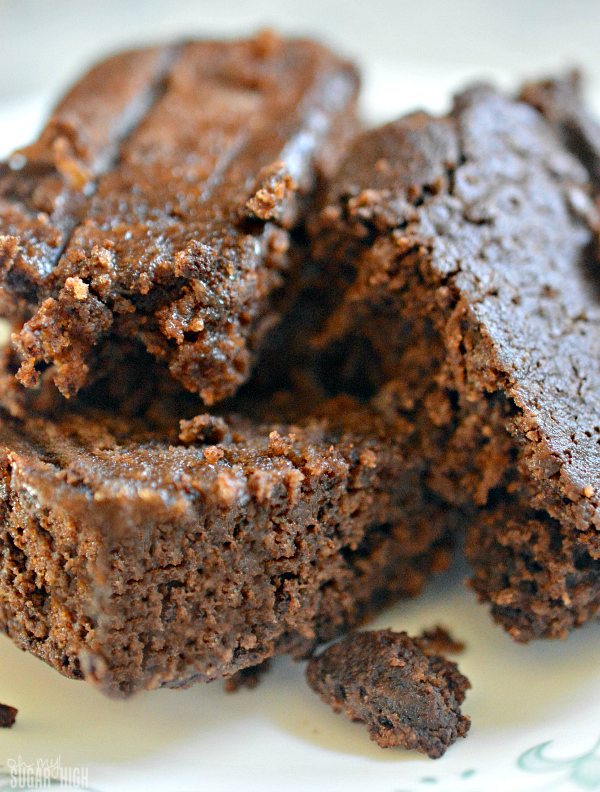 Top with pieces of the brownies (break into large pieces with your fingers). Repeat layers until the glass or jar is full. Top with chocolate sauce if desired, enjoy cold. In a large bowl, mix together the applesauce, zucchini, water, sugar, and vanilla extract. Beat in the egg and vegetable oil. Add in the cocoa powder, salt, and flour, and finally the baking soda. Mix all ingredients together until well blended. Pour batter into an 8×8 greased baking dish and bake at 350 degrees for about 20 minutes. 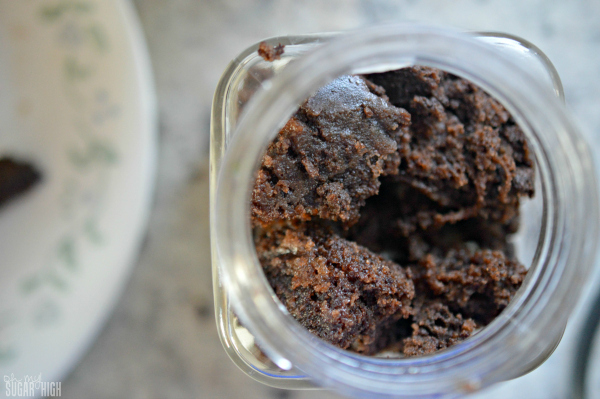 Let brownies cool completely before using in parfaits. And just in case you were wondering if you would bother with that chocolate sauce, here is one more shot to help you decide. Yeah…that is what I thought. Oh my goodness! These look so good! I cannot wait to try them! 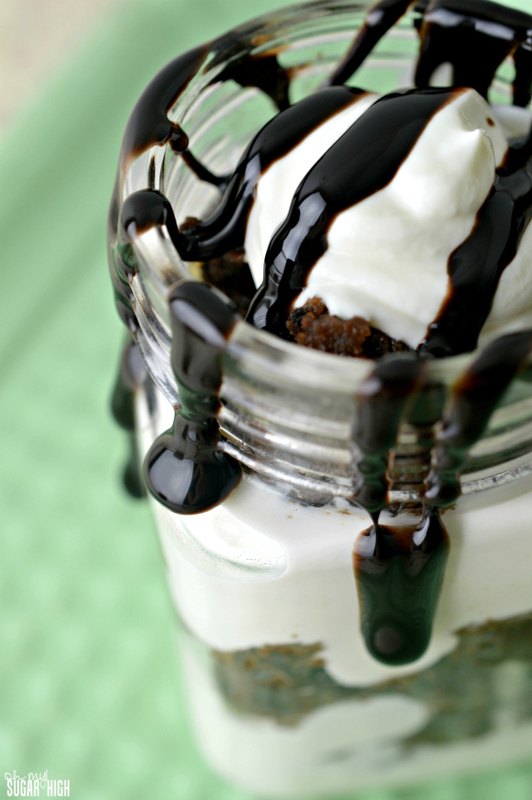 I love a good brownie parfait! Thanks Emilie for sharing at Foodie Friends Friday! These look great! Pinned ’em. Thanks so much for sharing at the Wildly Original link party!